Chasing Life - Wild Thing - Review: "LEO! (in the style of Piper from Charmed)"
Gavin here, filling in this week and next for regular reviewer Aimee Hicks. Don't fear, she will be back! 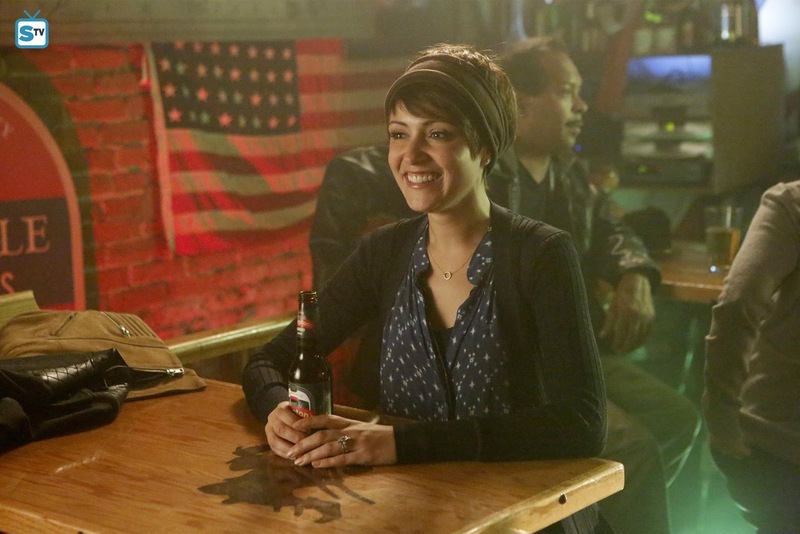 Without further adieu, here is my first review of ABC Family's Chasing Life. So I'm still kind of reeling over Leo's death, just like April, so I got way, way emotional during this episode, more so than I should have. As with a lot of episodes of Chasing Life, I find myself tearing up for at least 1 part of an episode but lately, it's happened more often. It's what I love most about this show though, how it tugs at my heartstrings and I find myself far too emotionally invested in these characters. This episode was a bit of a step back from the last 2 episodes, going at a bit of a slower pace as April starts to act a little irrational and reckless. It's totally understandable of course - she just got the last will from Leo's lawyer and she's been handed more money than she knows what to do with. I wasn't sure what direction she was going to go in but regardless, it was still a joy to watch in order to feel closer to our heroine. So with the cash, April splurges on unnecessary items like heels and booze, and even a good couple of tablets of ecstasy. It was actually really cool to see Italia Ricci's real-life fiance play the part of that little drug dealer. Aren't they the cutest couple (well not in the show obviously but you can see the chemistry from that little scene)? While I found this episode a little slower and you could probably skip some of it in hindsight, it was very important to go through this for our character. She's going through something words can't describe even after being handed a very terrible deck of cards. She's bound to act out and be a little crazy and it all culminated into the epic scene where April phones her mother after being high during the middle of the night. Sara is an amazing mother in that she is there to comfort her daughter and offer her the best advice. She didn't even need to do anything for April except be on the other end. It shows how she will always be there for her kids. I love that April asked her if the pain would ever go away. It also offered a little insight into Sara who stays so strong for her children but we sometimes forget she's been through the same thing with her husband. I love this scene beyond words, it was the perfect bonding moment. 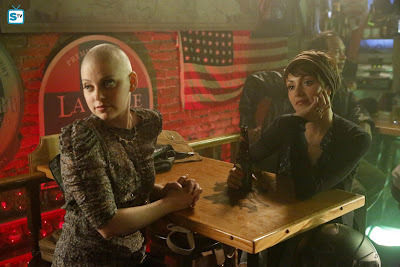 I also liked Brenna and her story in this episode. Obviously hers was not as dramatic as April's, but it was a great counter-balance to the draining emotion we go through with April. I'm so invested in Brenna doing well that I was thrilled she had her own little short film premiere. I loved that Uncle George was there to support her, though I wish Finn had of been strong enough to attend it as that would have been the best surprise. I'm not sure I want them as a romantic couple to be honest as I need to see more from them. I love the portrayal of bisexuality in this show though. I feel like it's very educational in that it's teaching me about the themes of humanity in each and every episode - cancer, sexuality, etc. While we took a step back from Brenna's love life, we got a glimpse into her dreams and aspirations. Her bombshell about moving to San Francisco after graduation for film school was, well, a bomb, especially to Sara. I can't imagine Brenna moving away and I'd hate for that to happen, even though I do want her to follow her dreams. She's such a unique part of the show and I always enjoy what she brings to it. She won't be moving anytime soon, I know, but still. I also can't wait to see if she and Finn will ever realise they are more connected than they realise with the stem cell donation. Time will tell. Beth's ever-growing dilemma of sharing her life with April was felt in this episode. I always feel like the two are drifting apart because Beth is too worried about her friend's feelings. I loved her honesty to Sara (it's so great how she has that relationship with her best friend's mother) about how she would feel insensitive to tell April about her life when she's going through something herself, yet she is always going through something - April cannot catch a break! But we don't see how this strains Beth herself, though there have been instances in the past where we have seen the damage on the friendship (remember Bermuda?). I really hope Beth will feel secure enough to be honest with April. It's such a weird time too and I can't predict it moving forward, but I love the April/Beth friendship and I hope they can both come out of this stronger. Sometimes April forgets that Beth has her life and I hope they acknowledge that. This was a transitional episode in order to further develop the characters and their states of mind. We have April losing it a little following the loss of Leo (whom I miss greatly, the show is not the same without him) and Beth feeling the strain as she can't share her life with her best friend. We had some emotional moments when April realises she's hurting so much that she turns to Sara, and some lighter but enjoyable moments with Brenna and George. I'm looking forward to seeing what comes of the Brenna/Finn relationship, whether it can remain platonic or if it will turn romantic. I want to see April pull through this hard time of her life and thrive. I really liked this episode though I felt it wasn't one of the best this season. I'm really feeling the loss of Leo. Best Character: Sara Carver. She was there for her daughter in the middle of the night and I love it. Most Interesting Character: Vanessa. She's becoming more interesting and I'd like to know more about her. I'm glad she shared some of her backstory. Naughtiest Character: April Carver. But she needed to get it off her chest, so I'll let her off. Best Moment: April phoning her mother in the middle of the night and the talk they had. Best Line: "I'm just trying to do whatever I can to make myself happy and feel better" - April. Best Pairing: April and Vanessa. Early days of their friendship and they started out a little weird at the beginning of the season, but it's becoming interesting. Shadiest Moment: Uncle George, you little fibber. Did you guys enjoy 'Wild Thing'? Let me know your thoughts in the comments and be sure to watch the next new episode of Chasing Life - September 7th on ABC Family!